We are very proud to announce our partnership with Gimmonix. We will integrate their world-class aggregation, hotel and room mapping technology into the Travala booking platform. This partnership provides Travala with unprecedented access to a supplier network of over 80 hotel suppliers and offers more inventory options that include enhanced room images and descriptions. 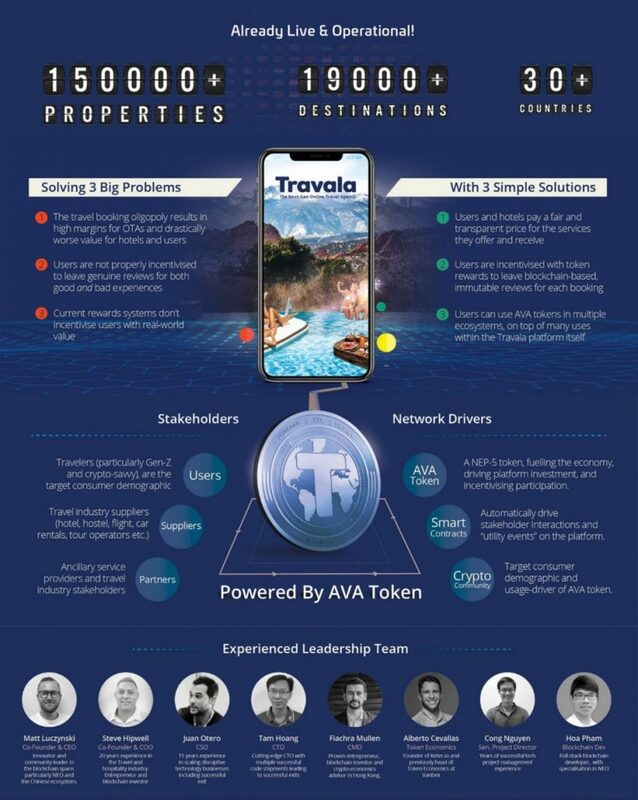 When fully integrated in Q1 2019 Travala will boast 1.5 million properties worldwide with the best rates and availability in the industry. As a core enabling technology for Travala, Blockchain is now empowering real value exchange between network participants. Travala, as a Next-gen Online Travel Agency (NOTA), fundamentally changes the relationship between this consumer of the future and their travel shopping. The Travala team desire to avoid virtue-signalling to the blockchain community about pursuing full decentralisation. Those aspects of the platform most in-need of blockchain support and enabling will be powered by the NEO blockchain. AVA represents tokenised real value which can be withdrawn from the platform, stored safely offline, transferred to others and spent wherever the user wishes. Maintaining centralised server-powered booking processes and content delivery will allow Travala to avoid the capacity limitations currently being faced by competitors in the space and this partnership with Gimmonix is a huge step on our mission of main stream adoption.